No-Repeat LSU Shirts, Day 6. 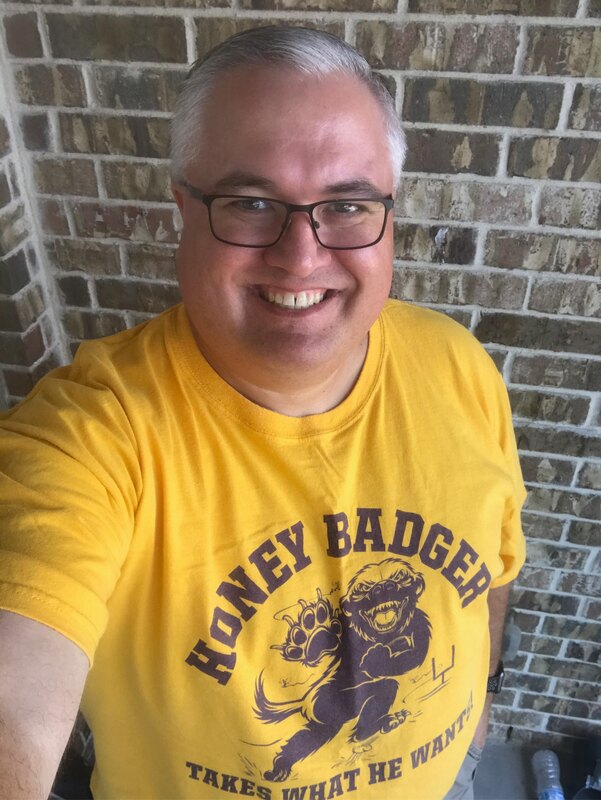 The “Honey Badger takes what he wants!” shirt from 2011 is an ode to Tyrann Mathieu (@Mathieu_Era). I wore this under my LSU jersey at the 2011 LSU-Alabama game. Ran into another LSU fan wearing the shirt outside Bryant-Denny Stadium.